NintenGen: *Rumor* Unreal Engine 4 on Wii U: People will be "blown away"
*Rumor* Unreal Engine 4 on Wii U: People will be "blown away"
The speculation has been back and forth on if the Wii U will be able to run Unreal Engine 4 or not. Now another developer source has seemed to confirm that Unreal Engine 4 is up and running on the Wii U after certain GPU tweaks were made. Remember that in these days, GPU "features" are almost more important than raw power. Nintendo could have added certain features to their GPU configuration in the Wii U dev kits that are brand new/from recent GPU releases while still holding true to their original custom design and size. "He was super excited about that when he posted it, and we were talking about it just before he posted it on the site. It came from an actual dev, but that's about as much as I can say about the source, other than what I've already said. "Watch man, people are going to be blown away by the Wii U news." So how ever you wish to take the info, with or without salt... or perhaps not at all, E3 should be really good this year. One that I'm sure I will never forget at least." Yes it's too soon and not enough confirmation to get very excited over but it is very possible when you analyze the situation. Remember that this time Nintendo really wants cross platform games to be included on the Wii U. 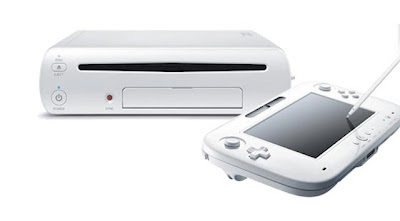 The Xbox 360 & Playstation 3 are only going to last a couple more years at the most and Nintendo has been aware of this clearly from the beginning, which making tweaks/adding features/increasing power to the Wii U's GPU makes perfect sense in the long run business aspect of the equation. i'm more interested in what Nintendo can do with there own engine i mean they employed the crytek dev that mad CryEngine 2 and 3 so its not hard to believe there making there own engine i mean the wiiu is a beast who wouldn't make a powerful engine 4 it.